your business handles these documents and can help your business to be able to function very well. 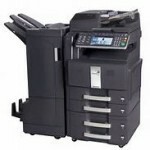 Here are some things to consider before buying a new copier. The total cost of ownership is something that you should consider because it is something that a lot of people misunderstand all of the time. This is because they forget to consider important things about how much the copier cost. Some people forget to consider things like how much maintenance and the use of supplies will end up costing over the life of the copier. You should also know what kind of paper you will be using and whether or not the copier you are considering buying will work with that copier or not. Different businesses will use different kinds of paper. If your business in the Denver area is looking for the perfect copier, you should give us a call at 3035867704 and we would love the opportunity to be able to compete for your business.